BankNews Media is dedicated to serving the needs of bankers nationwide through a wide range of online, digital and print products and services. Our flagship publication, BankNews, is the leading independent publication for community banks nationwide. Complementing BankNews are two executive newsletters, Mid-Week andThe Bank Board Letter, and three e-newsletters, BankNews eDigest, Technology Focus andLearning Points. Ag Banking is a quarterly publication dedicated exclusively to agricultural bankers nationwide. The company also publishes the official publications for state bankers associations. These publications include California Banker, Florida Banking, Illinois Banker, In Touch (Kansas), Maine Banker, Massachusetts Banker, and The Show-Me Banker (Missouri). In addition, BankNews Media has been one of the nation’s most respected publishers of bank directories for more than 60 years, and currently publishes directories for 18 states. Community Banking Recruiters, a division of BankNews Media, helps banks find the right executives and bankers find career opportunities to fit their goals. And BANKworkforce.com is an online job board, featuring employment opportunities at all levels — from tellers to CEOs. 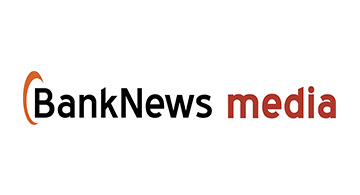 BankNews Media, which traces its history to 1901, continues to pave the way for community banking executives seeking the latest information, tools, and resources.